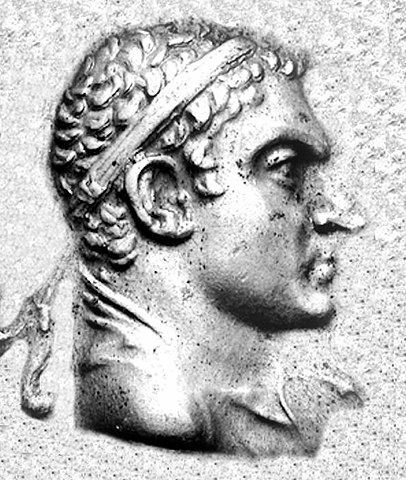 Agathocles Dikaios was a Greco-Bactrian/ Indo-Greek king, who reigned between around 190 and 180 BC. Agathocles might have been a son of Demetrius I, and might have served one of his sub-kings in charge of the Paropamisade between Bactria and India. In that case, he was a grandson of Euthydemus whom he qualified on his coins as Βασιλεὺς Θεός, Basileus Theos (Greek for "God-King"). Agathocles was contemporary with or a successor of king Pantaleon. He seems to have been attacked and killed by the usurper Eucratides, who took control of the Greco-Bactrian territory. Little is known about him, apart from his extensive coinage.